Served daily from 11 am - 9 pm in February. Dine-In Only. 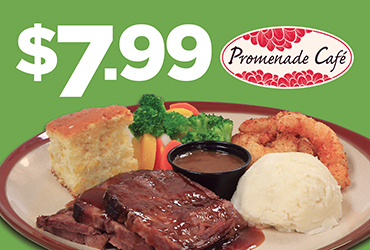 Enjoy $7.99 Bourbon Brisket and Shrimp Dinner Special at Promenade Cafe inside Rampart Casino in Summerlin. Served Daily from 11am – 9pm.